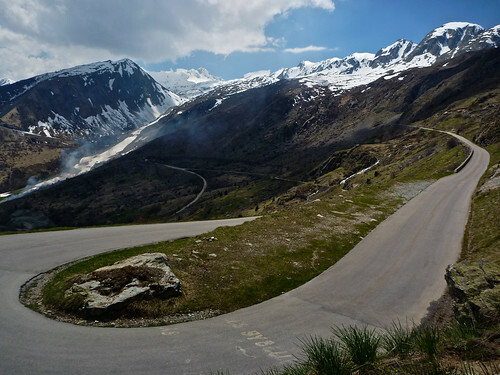 The higher Alps passes are starting to open. 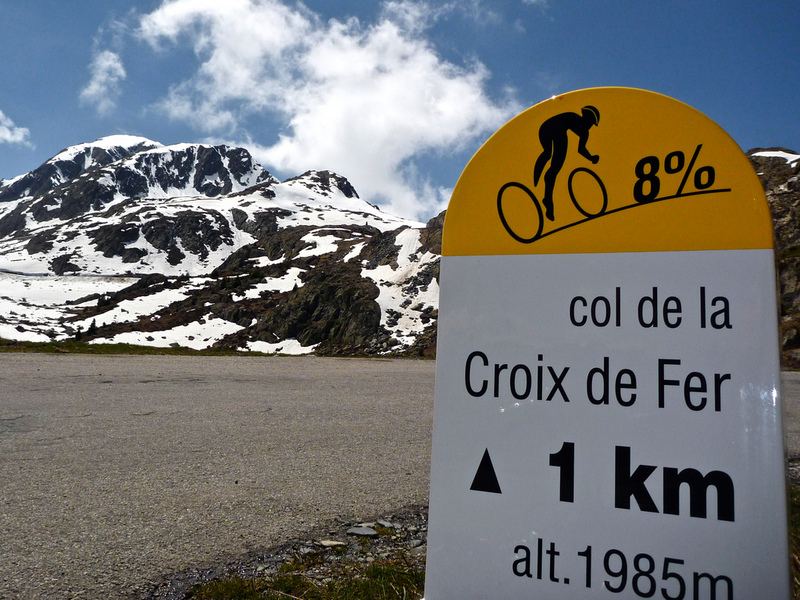 This was my first ride of the year over 2000 metres – and my first time doing the direct eastern side of Col de la Croix de Fer (I usually do this side via Col du Mollard to avoid the 3 admittedly wide and well lit tunnels). 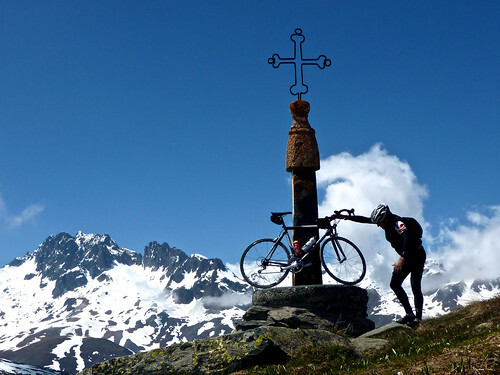 I’ll be trying to survive the even harder west again side as part of La Marmotte in July – details. 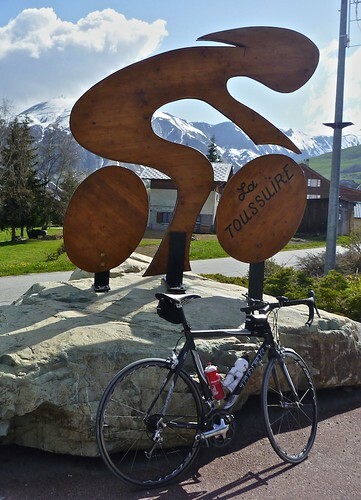 The Maurienne valley must be the best start point in France for climbing high and famous Alps. 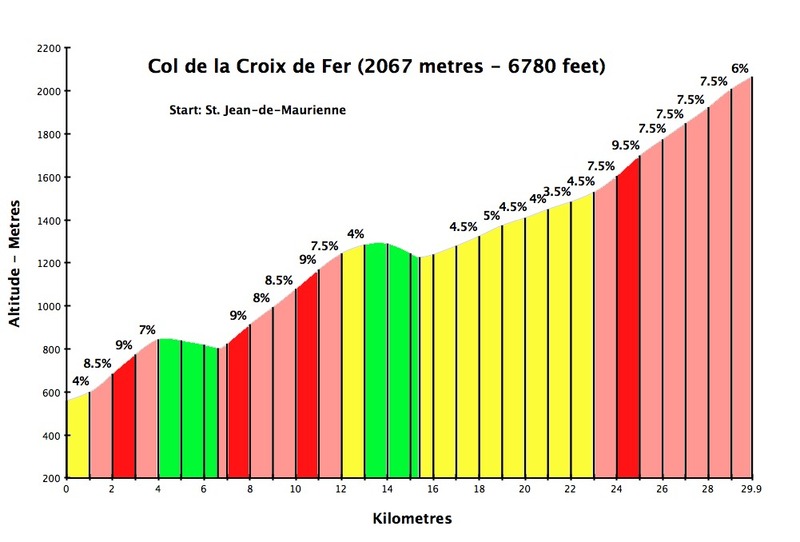 For example: Galibier, Iseran, Glandon, Croix de Fer, and Madeleine. 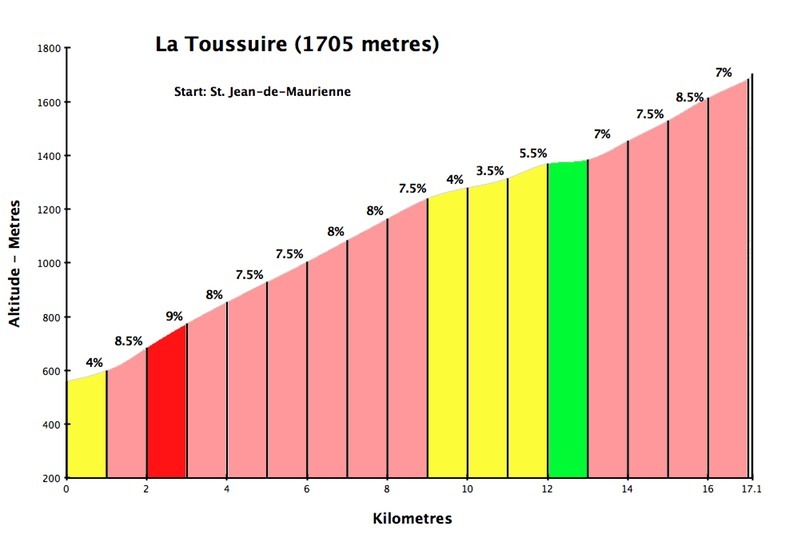 And there are many more interesting climbs – like La Toussuire – that get a little overshadowed. La Toussuire is a small ski station in the Les Sybelles ski domain. 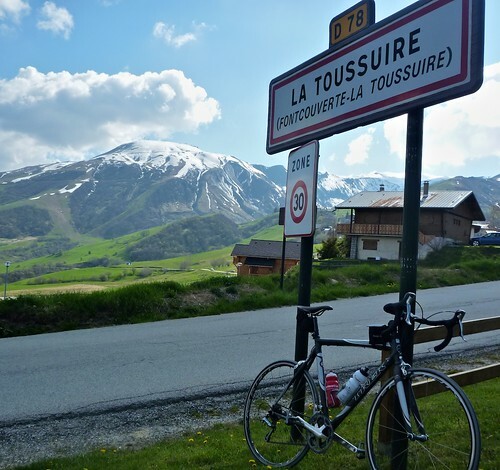 Ironically, given the current headlines, La Toussuire was the mountain top finish on the stage where Landis bonked in the 2006 Tour de France – before his “miracle” comeback the next day. It’s a beautiful climb on wide, well surfaced, quiet roads, surrounded by mountains. 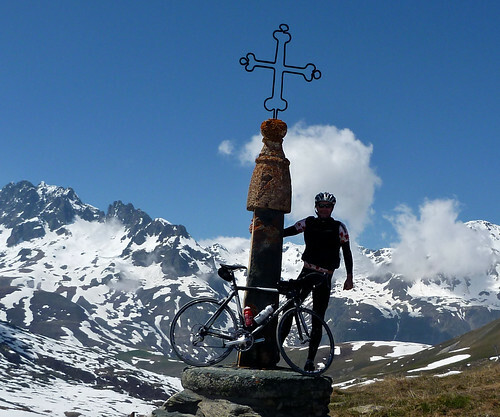 I was pretty tired after Croix de Fer and just pedaled slowly and enjoyed the views. Maybe too slow for the timer, but probably 1 of the first cyclists up there this year. Congrats!